The SUN Civil Society Network (SUNCSN) has as we speak 2.500 member organisations organised as National Civil Society Alliances (CSA) spread across 39 countries globally. 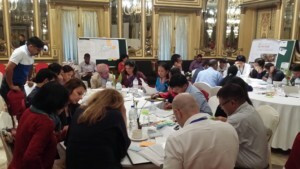 In mid-July, I attended the SUN Civil Society Regional Learning Exchange – Asia co-organised by Global SUN CSN Secretariat and the Civil Society Alliance for Nutrition, Nepal (CSANN) in Kathmandu. The participating alliances were from Bangladesh, Cambodia, Indonesia, Kyrgyzstan, LAO-PDR, Myanmar, Nepal, Pakistan & Philippines. The 4-day event gave me an opportunity to interact with participants from these diverse contexts and understand their contribution alongside their Governments and other stakeholders towards a malnutrition free world. • The membership of most of the CSAs is a mix of both National & International NGOs with a conscious effort by INGOs to withdraw from roles in active governance of the CSA and handover to National NGOs. • The organisations in the alliance include those which are working on core nutrition issues and those with wide ranging expertise such as education, WASH, livelihoods promotion amongst others. • Many are in their infancy- the oldest being 3 years like Nepal, Bangladesh amongst others and Philippines which is just a few months old. 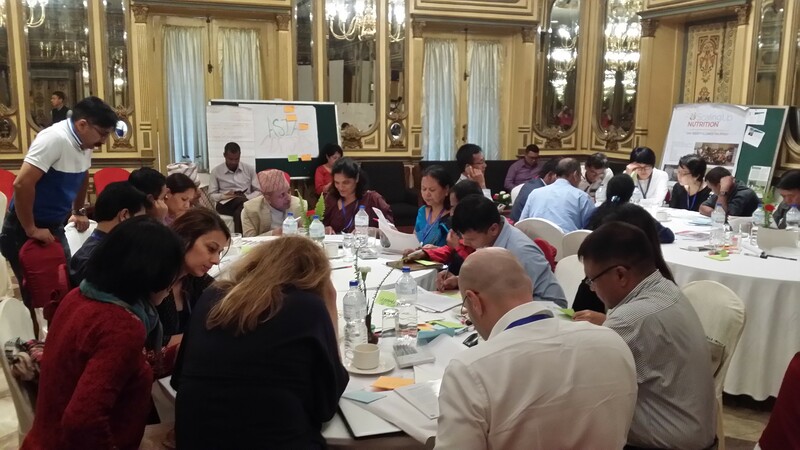 • In a few countries, Nepal, Pakistan, and Myanmar sub national level chapters affiliated to the National alliance have been formed which has improved the reach of the alliances and allowed greater interaction with local government structures. • All alliances have been involved in the development of National Nutrition Plans – the depth of the engagement is varied. • Funding is a challenge to a lesser or greater degree for all alliances which hampers long term planning. • Alarmingly, all alliances raised the issue of shrinking spaces for civil society voices – one would have expected this from organisations working on human rights violations and such contentious issues but it looks like even organisations which are working on Food security and Nutrition are struggling to make their voices heard. This is perhaps telling of the times we live in. • The Regional Learning Exchange event covered many topics of over the 4 days – in this post I would like to share my notes and reflections on 2 themes which I found to be particularly stimulating: CSOs and Decentralisation and Breast Milk Substitute (BMS) Code Implementation. The session on decentralisation was very interesting with the host country Nepal, now in the last stages of completing the process of transformation into a Federal Democracy. Federalisation- which ensures through constitutional provisions, division of powers and responsibilities between the centre and the local bodies, is throwing new challenges at both government mechanisms and non-governmental structures. The CSANN which already has 5 established sub national chapters will do well to engage with the newly formed local bodies to understand how it could join forces and evolve to take the nutrition agenda forward. Pakistan, another country which has provincial chapters which are represented in the national level also had successes to share on successful advocacy in Khyber Pakhtunwa where malnutrition was declared as an emergency and provincial governments in 3 provinces Sindh, Punjab and Baluchistan have made commitments to increase funding for nutrition in their budgets. The CSA in Pakistan has its work cut out – to follow up on this commitment from the Government and monitor the effective spending and utilisation of this budget. The session on BMS code implementation left a deep mark on me and much to digest. All 9 countries despaired at their limitations bordering on inability to ensure strict implementation of the Milk code (I like this nomenclature used in the Philippines) despite legislative provisions which includes penalties for violators in most countries. Examples of people in positions of authority involved in flagrant violations were cited- from accepting gifts and participation in sponsored events from BMS manufacturers to accepting the services of a consultant (shockingly enough) to promote breastfeeding appointed by BMS manufacturers in the Ministry of Health. All CSAs prioritise reporting of Code violations at regular intervals to the concerned authorities but the response and action leaves much to be desired. In 2016, Myanmar launched a mobile application which can be used to report violations in real time. This allows the reporting to be done through the year and from all corners of the country – however, actions against the offenders are yet to be seen. The Cambodia CSA, responding to the rapidly fall in exclusive breastfeeding rates, successfully advocated for the establishment of an Oversight Board for reporting of violations and with authority to take actions. Another effort to increase awareness on the BMS code has been in the Philippines through information campaigns conducted by Island Caravans to reach communities and inform them of the benefits of breastfeeding and impress upon them that promotion of BMS is a legal offence. There are many ways to send home the message and garner forces and all must be used if the might of the BMS manufacturers is to be challenged. If there is one issue all the CSAs in this diverse region can work together on as a Regional force, it surely must be this. It was clear that many CSAs are unable to recognise, understand and negotiate the grey area between collaborating with business in their own countries and violating the conflict of interest principle. It seems that the CSOs must acquire and hone their capacity to be the force against aggressive and unethical marketing of BMS by supporting governments, policymakers and other stakeholders through advocacy, technical assistance, evidence generation, and capacity building. They need to be supported in their commitment from actors at the global level through provision of clear practical guidance on how to work with all actors (including the private sector) without bringing children and communities to harm. I discussed this with my regional colleagues working in West and East Africa and it was loud and clear that this is an issue not just in countries in Asia but across African countries too. 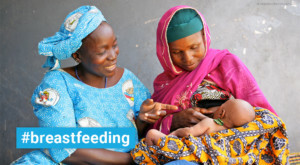 This is borne out by the recent report from the Global Breast Feeding Collective which states amongst other things that not one country meets minimum support standards for breastfeeding.